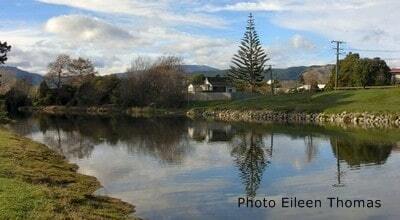 Swaney Downs is a 2 bedroom holiday home at Waikanae Beach. 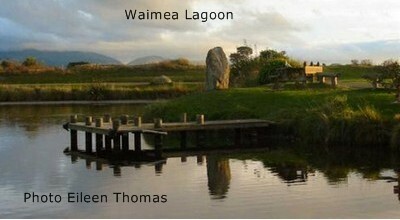 Backing directly onto the Waimanu Lagoons, this holiday home offers a great location for your next Kapiti Coast escape. 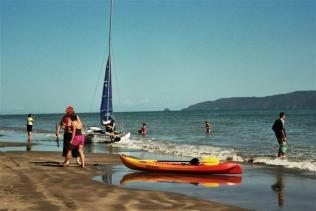 Waikanae Beach is a popular spot for locals, holidaymakers and tourists of all ages, with safe swimming, fishing, boating and an idyllic place for a stroll along the white sands, looking out to Kapiti Island Nature Reserve. 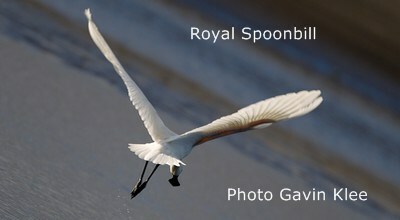 Waikanae River Scientific Estuary Reserve and lagoon are the habitat for native, introduced and migrant birdlife, which is a must see for the nature lover visiting the area. 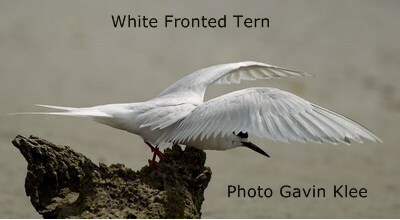 Mik (Michael) Peryer has become well known on the Kapiti Coast for his Kapiti Bird Tours, attracting visitors from all over the world. 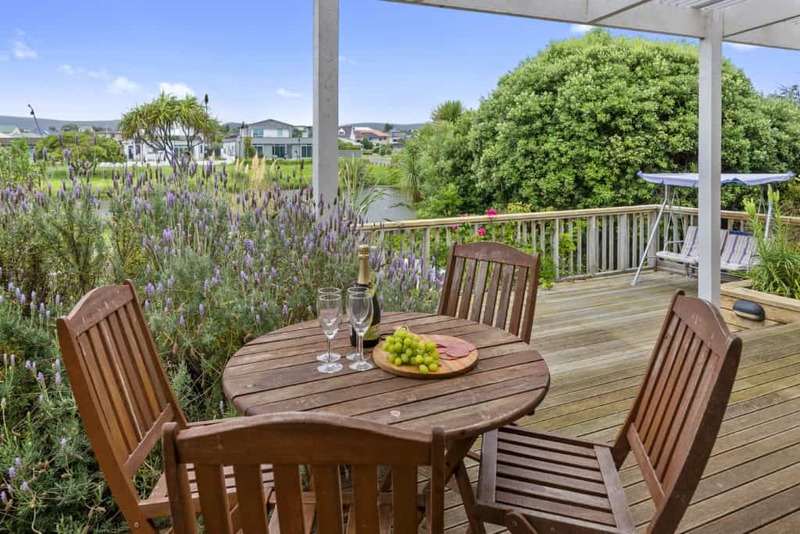 Located on the stunning Kapiti Coast north of Wellington, alongside the Waikanae river and just a short stroll from the beach. Your stay will be full of adventure with more than 20 onsite activities including Go Karts, Kayaking, Horse Riding and more! 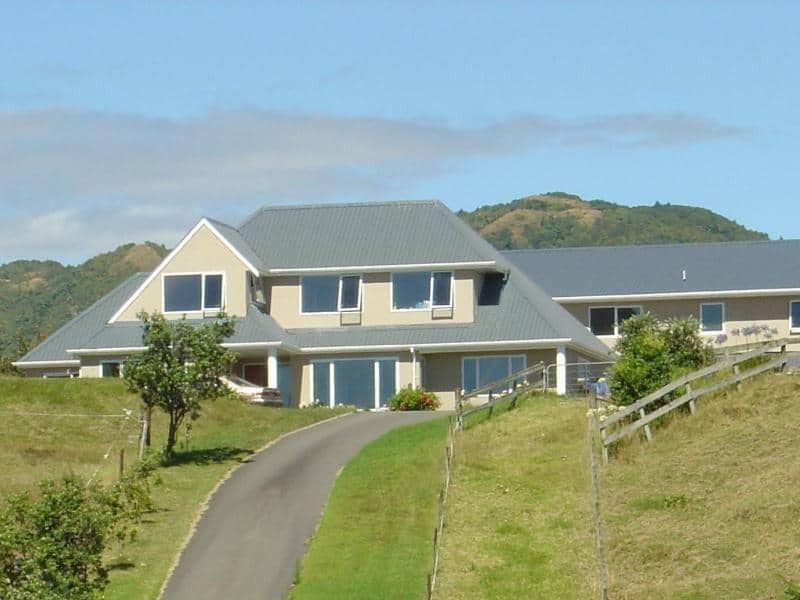 Mike and Lynette welcome you to Vista del Sol – or “View of the Sun”, a 5 star luxury boutique lodge and Spa in Te Horo, the centre of the Kapiti Coast. Vista del Sol is a 6 acre property set on thirty thousand year old sand dunes enjoying 360 degree views of an unspoiled panorama. 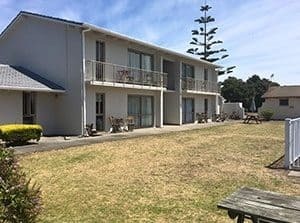 The luxury Lodge and Spa is 1 km from a long pristine beach, and faces west to the Kapiti Coast over wetland bush valleys, ancient sand dunes and magnificent sunsets, South-West to Kapiti Island, North over rolling farmland and North-East to the Tararua Mountain Ranges. 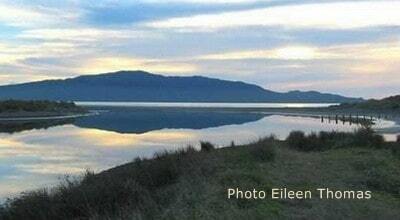 Enjoy long, leisurely walks on a sandy and safe swimming beach (direct access), awesome sunsets, and wonderful views of Kapiti Island, a world-renowned nature reserve. For the more energetic, the Kapiti Coast has a number of walking and cycling trails (eg Waikanae River Walkway, Mount Kapakapanui, Mangaone Walkway and many others). There are several very good cafés/restaurants within walking distance of Helen’s.